According to Jet Airways, all passengers with bags having a Li-ion battery will need to detach the battery and carry it separately in the cabin baggage. Jet Airways has reportedly come out with rules that are concerned with 'smart-luggage' being carried by passengers on its airlines and will be in effect from 15 January. This would make Jet Airways join the ranks of several other airlines such as United Airlines, American Airlines, Delta, Qantas, and British Airways, all of whome have issued regulations on smart-luggage. When we say smart-luggage we mean luggage that comes fitted with GPS tracking, charging ports or any kind of electrical equipment. The main concern here is that most of these smart-baggages have Li-ion batteries, which are considered a fire hazard. 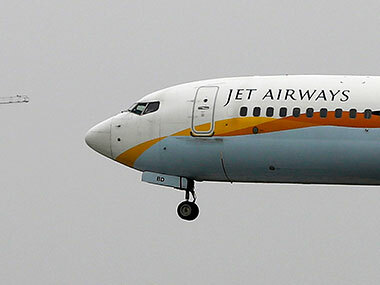 As per a report by The Hindu, a Jet Airways spokesperson gave the new regulations in accordance with the International Air Transport Association (IATA). According to the regulations, all passengers with bags having a Li-ion battery will need to detach the battery and carry it separately in the cabin baggage. Checked-in baggage with non-removable Li-ion batteries will not be permitted on the airline. The passenger is responsible for declaring the removal of the battery from the smart-bag to the airline staff. Jet Airways will not be accountable for any damage or loss occurring due to the removal of batteries. The Hindu claimed in its report that a Mumbai International Airport official told them,"since Jet Airways has a sizeable US operations, the new regulations were being effected,". Smart-bags are in their very early stages in India, and the official claimed that "It is more of a US trend, where smart bags come fitted with lithium-ion batteries and motors allowing them to be used as a personal transportation device, either as a stand-up scooter, or sit on vehicle. These devices do not even meet the criteria of a mobility device."